For skin that is perfectly prepared and more effectively protected, for an even and long-lasting tan. 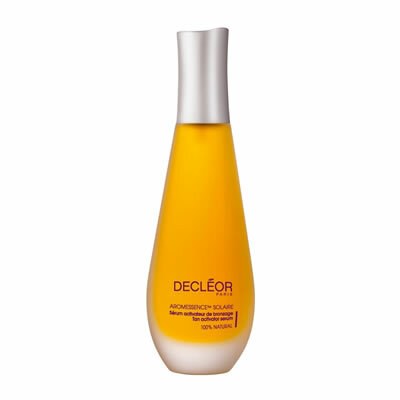 Decleor Aromessence Solaire Tan Activator Serum for Body is extremely fast to apply and gives superb results just one hour afterwards! Decleor Aromessence Solaire Tan Activator Serum for Body is great for starting your tan before the holiday season or to prolong its glow after. Decleor Aromessence Solaire Tan Activator Serum for Body is instantly absorbed after application, without leaving an oily film on the skins surface.